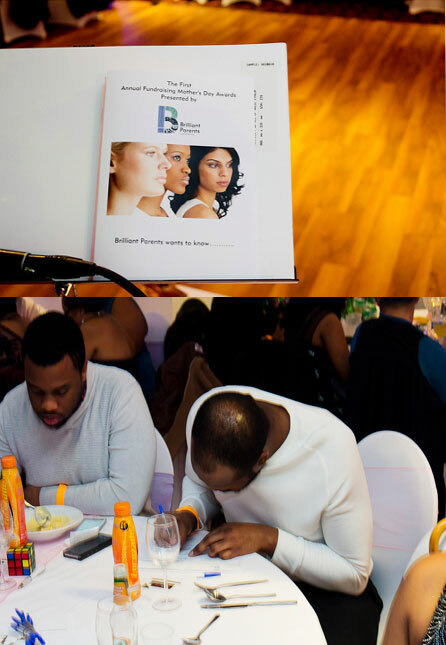 Mothering Sunday found new meaning for over 150 proud mothers and their families at the Royal Lounge Banqueting Suite in Wembley on Mother’s Day. 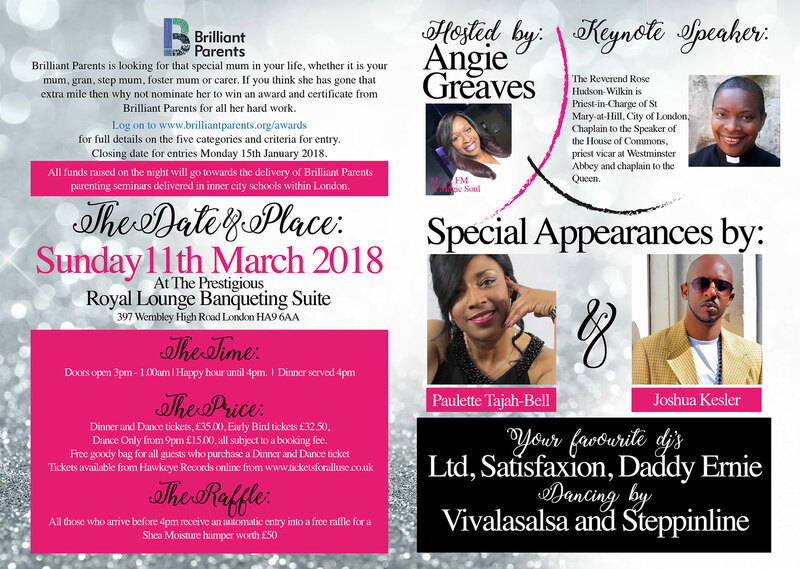 Brilliant Parents, honoured mothers from in and around London, with their first ever Mother’s Day fundraising event on 11th March 2018. 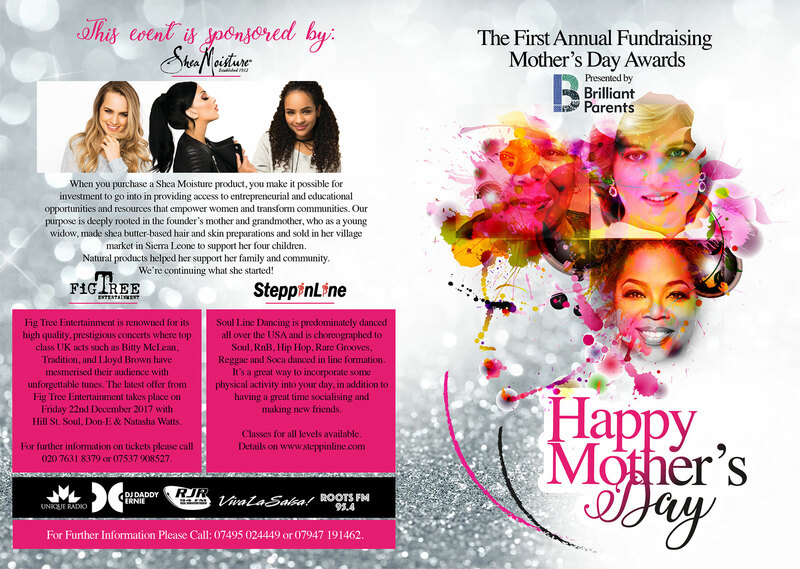 Hosted by popular radio presenter and local girl, Angie Greaves from Magic FM, the prestigious event, paid tribute to mothers, nominated by their families, in aid of raising awareness of positive parenting. 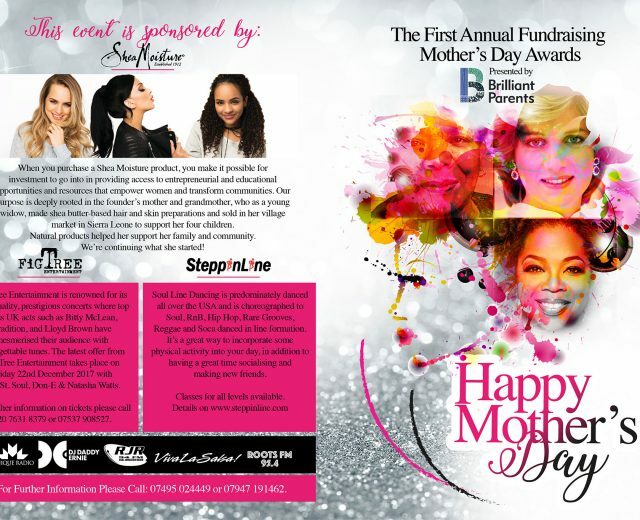 Sponsored by SheaMoisture, the event acknowledged mother’s in, Mother, Grandmother, Foster mother and Carer of the year categories. 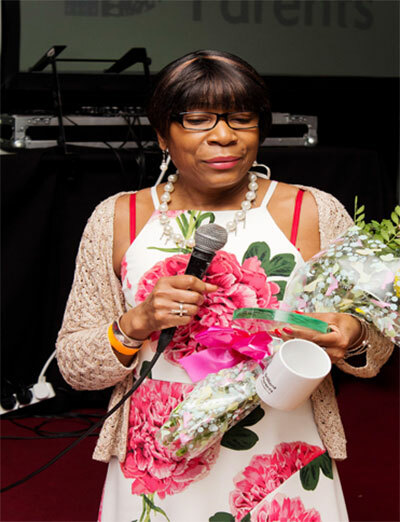 Carer of the year – The chosen winner is a Miss Marvelyn Christopher from the London Borough of Brent. 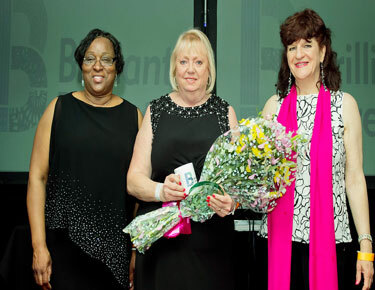 Foster Mother of the Year – The winner is a Mrs Brenda Donavon from Smallfield in Surrey. 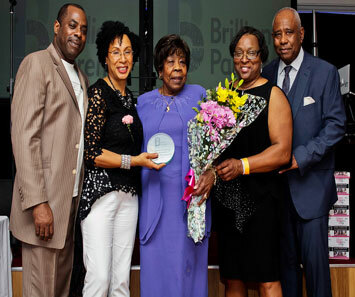 Grandmother of the Year – The winner is Mrs Mavis White from the London Borough of Harrow. 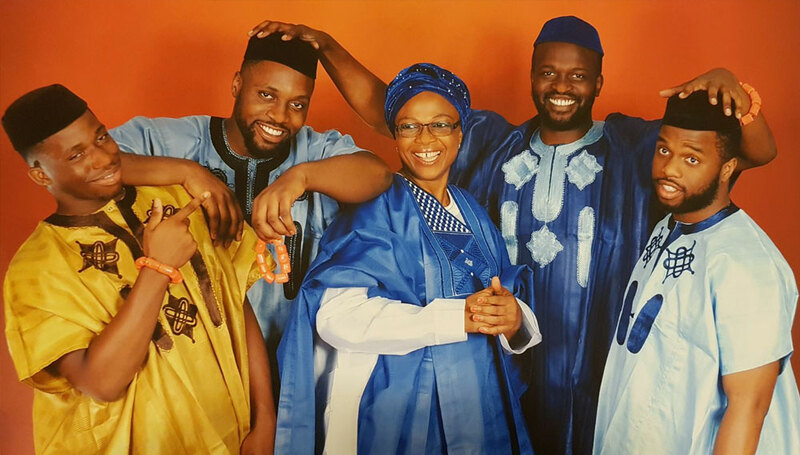 Mother of the Year – The winner is Miss Eki Ogbeide from the London Borough of Harrow. 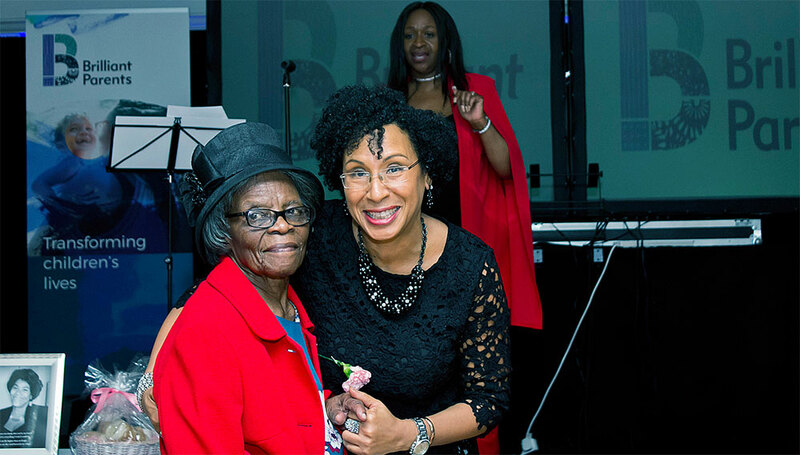 The biggest cheer of the evening went to the eldest mother in the house, the effervescent Mrs Rachel Anderson, aged ninety-four from Kensal Rise. 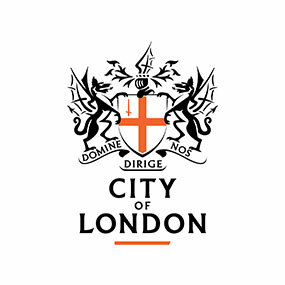 During an action-packed programme that included a powerful Keynote address from Reverend Rose Hudson-Wilkin, the 79th Chaplain to the Speaker of the House of Commons. 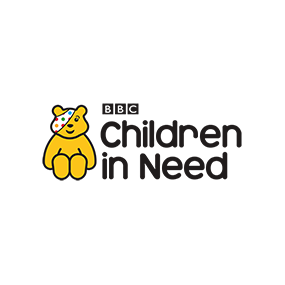 The packed arena was surveyed and asked whether or not they felt parenting classes should be as readily available as ante-natal classes. An overwhelming number (98.1%) agreed. 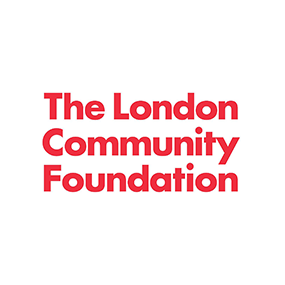 Brilliant Parents intend to use this data a catalyst for a parliamentary debate on parenting classes in the UK.